Manchester City have reportedly apologised to Chelsea for appearing to troll them by playing one of their club anthems after thrashing them 6-0 at the Etihad Stadium yesterday. 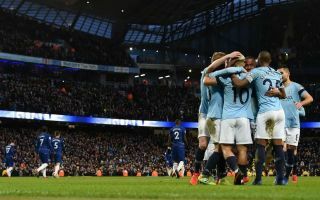 Sergio Aguero, Raheem Sterling and co. were on fire for City as they dealt Chelsea their worst defeat of the Premier League era, but it seemed they didn’t stop there as they rubbed salt into the wounds after the final whistle. According to the Evening Standard, City have now apologised to the Blues for playing the song ‘One Step Beyond’ at the end of the game – an anthem often heard at Chelsea games. This ended up being a bit of a bad-tempered affair in general as CFC manager Maurizio Sarri also seemed to snub a handshake with Pep Guardiola at full time, as also noted in the report from the Evening Standard. All in all, a day Chelsea will want to forget very, very quickly as City humiliated them for 90 minutes and beyond.